Early in July when the Queen of the Night was drawing full attention in the sunroom, this moth orchid also started to bloom. In fact, if you look at the blog posting of the big night when the Queen of the Night bloomed, you can see in the bottom right corner of the picture of the whole plant, this little moth orchid starting to bloom. And guess what? The moth orchid is still blooming, long after the memory and scent of the night bloomer have faded. That means it has been blooming for over a month, and still going strong. I should give this orchid a little more respect! I have about 12 orchid plants in my sun room, but that's my limit because I don't have space for any more. Some bloom with regularity; others were in bloom when I got them but haven't bloomed since. But I know eventually they will bloom, so I keep them, even though when not in bloom, most orchids aren't exactly showy houseplants. By the way, I don't consider myself an orchid hobbyist by any measure. 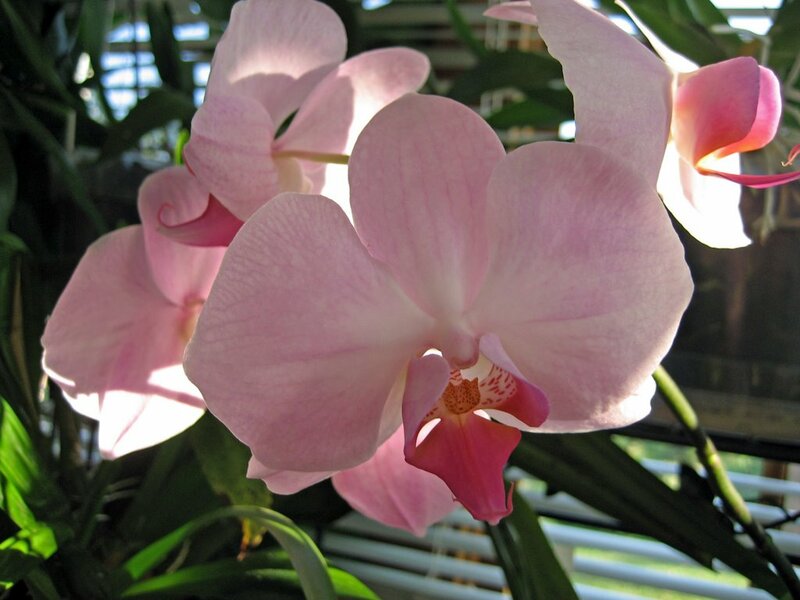 Orchid people are like a special sub-culture of gardeners, along with gardeners who have a lot of bonsai plants. They would scoff at a mere 12 orchids and call it a good start. 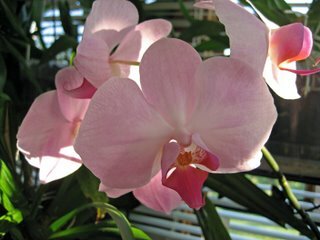 This is a great post on moth orchids. Actually, phalaenopsis are my favorite orchids and I am just doing some research on this beautiful plant and ran across your article. Thanks for sharing.